So how do you pronounce Hermes? Regardless, the designer brand has been a talking point among Malaysians following the seizure of 284 luxury bags, including dozens of orange boxes containing Hermes Birkin bags from three upscale condominiums linked to former prime minister Datuk Seri Najib Razak’s family. A Birkin bag costs between US$12,000 (RM47,760) and US$300,000 (RM1.19 million). Being in the news for the “not so right reasons” isn’t a bad thing, according to award-winning creative director Fariz Azlan. “For a brand to be caught in a scandal, it’s all about publicity and how you can spin it to your advantage,” said Fariz, who is executive creative director of Jakarta-based advertising agency Y&R Jakarta. Following the release of Borat, a movie that ridiculed Kazakhstan, Hotels.com reported a 300 per cent increase in requests for information about the Central Asian nation. In 2012, Prince Harry was pictured naked in Las Vegas during a private weekend with friends. 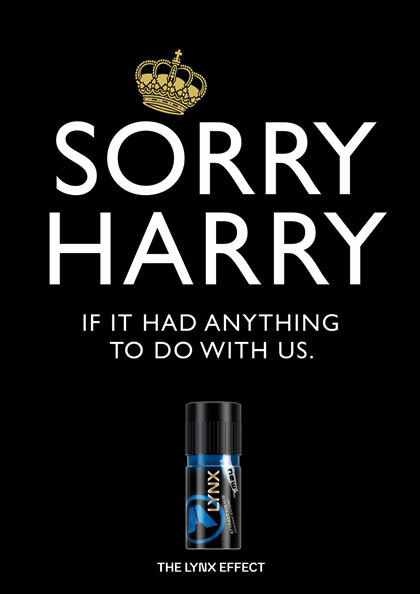 Unilever-owned Lynx – which claims its scent makes men irresistible to women – quickly jumped on the bandwagon and ran an advertisement that read: “Sorry Harry if it had anything to do with us”. The stunt got plenty of attention. Following the raids, Malaysians have been intrigued to know more about Hermes and many have since learnt Birkin is named after actress and singer Jane Birkin. Fariz added: “If I was the creative in charge of Hermes, I would take advantage by coming out with a catchphrase. He said this will create a lasting impression and get people talking and wanting to know more about the brand. And the right way of saying Hermes is – ‘Er-Mez’.